Two of Asia's most oppressive regimes may have joined forces to develop a nuclear arsenal, according to strategic experts who have analysed information supplied by a pair of Burmese defectors. The men, who played key roles in helping the isolated military junta before defecting to Thailand, have provided evidence which suggests Burma has enlisted North Korean help to build its own nuclear bomb within the next five years. Details supplied by the pair, who were extensively interviewed over the past two years by Professor Desmond Ball of the Australian National University and Thai-based Irish-Australian journalist Phil Thornton, points to Burma building a secret nuclear reactor and plutonium extraction facility with the assistance of North Korea. Thitinan Pongsudhirak, the head of Thailand's Institute of Security and International Studies, said: "The evidence is preliminary and needs to be verified, but this is something that would completely change the regional security status quo. "It would move Myanmar [Burma] from not just being a pariah state but a rogue state – that is one that jeopardises the security and well-being of its immediate neighbours," he said. The nuclear claims, revealed by The Sydney Morning Herald at the weekend, will ring alarm bells across Asia. 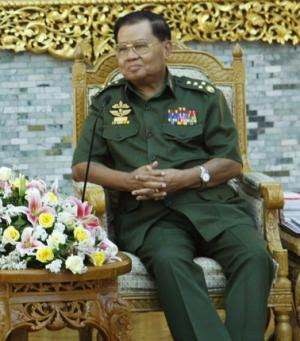 The newspaper said the testimony of the two defectors brought into sharp focus the hints emerging recently from other sources, supported by sightings of North Korean delegations, that the Burmese junta, under growing pressure to democratise, was seeking a deterrent to any foreign moves to force regime change. Their evidence also reinforces concerns expressed by Hillary Clinton, the US Secretary of State, in Thailand last week about growing military co-operation between North Korea and Burma. "We worry about the transfer of nuclear technology and other dangerous weapons," she said at a regional security conference. The two defectors whose briefings have created such alarm are both regarded as credible sources. One was an officer with a secret nuclear battalion in the Burmese army who was sent to Moscow for two years' training. 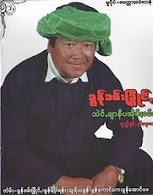 He was part of a nuclear programme which planned to train 1,000 Burmese. "You don't need 1,000 people in the fuel cycle or to run a nuclear reactor. It's obvious there is much more going on," he said. The other is a former executive of the regime's leading business partner, Htoo Trading, who handled nuclear contracts with Russia and North Korea. The man, who died in 2008, provided a detailed report which insisted that Burma's rationale for a nuclear programme was nonsense. "They [the generals] say it is to produce medical isotopes for health purposes in hospitals. How many hospitals in Burma have nuclear science? he asked. "Burma can barely get electricity up and running. It's a nonsense," he said. Professor Ball and Mr Thornton reported that the army defector claimed that there were more than five North Koreans working at the Thabeik Kyin uranium processing plant in Burma and that the country was providing yellowcake – partially refined uranium – to both Iran and North Korea. The authors concluded that the illicit nuclear co-operation was based on a trade of locally refined uranium from Burma to North Korea in return for technological expertise. What is missing in the nuclear chain at the moment is a plutonium reprocessing plant, but according to the army defector, one was being planned at Naung Laing in northern Burma, parallel to a civilian reactor which is already under construction with Russian help. The secret complex would be hidden in caves tunnelled into a nearby mountain. Once Burma had its own plutonium reprocessing plant, it could produce 8kg of weapons-grade plutonium-239 a year, enough to build one nuclear bomb every 12 months. If the testimony of the two defectors proves to be correct, the secret reactor could be operational by 2014, The Herald reported. "These two guys never met each other, never knew of each other's existence, and yet they both tell the same story basically," said Professor Ball. "If it was just the Russian reactor, under full International Energy supervision, then the likelihood of them being able to do something with it in terms of a bomb would be zero," Professor ball said. "It's the North Korean element which adds danger to it."